Take a real working farm and those who own the land and work so hard to preserve it. Reflect on what you might find if you were to visit such a farm. A big old red barn? More than likely, yes. Stalks of corn and bales of hay? A definite possibility. Strawberries, blueberries, muscadines, tomatoes and sweet potatoes for as far as the eye can see? What a delicious idea. What about animals? They are always an important cog in the wheel of agriculture. Looking for wagons and trains and tractors? Of course. Fields of flowers, cotton, pumpkins and Christmas trees. How lovely. Maybe a cabin, or a lake or a quaint little general store will be included. Combine all of these expected elements of a working farm, blend them together with the tender loving care of the farmers, add a whole lot of open air, throw in a variety of sounds and aromas and then mix thoroughly. The result of this agricultural fusion is Agritourism, of course! There’s the challenge of a corn or hay bale maze, or the chance to grab a bucket and pick your own produce for a delicious meal. Think about a petting zoo, with pigs, goats, and chickens—oh my! Wagon rides, hay rides and train rides are amusing modes of transportation, and an inspired approach to stargazing and bird watching. Horses for riding, cows for milking and bees for honey-ing are fun and enlightening. Festivals to celebrate peanuts, tomatoes, sweet potatoes, watermelon and catfish are excellent ways to bring a community together. Mix in opportunities for education with hands-on syrup making, goat’s milk soap and cheese production. Get yourself in the holiday spirit by visiting the Red Barn Haunted House; pick up a pumpkin for carving and a Christmas tree for trimming. What could be more invigorating than camping, picnicking or hosting a family reunion on a working farm? Where in the world can all of these fun times be found? Right here in Mississippi, of course! Mississippi’s rich and colorful agricultural heritage is filled with great innovation and success, and although it remains a leading resource in the state’s economy, agriculture constantly changes with time, technology, needs and opportunity. With roughly 42,000 farms in the state covering 11 million acres, agriculture makes a significant contribution to all 82 counties in the state. Another vital component to Mississippi’s economic development is the state’s Travel and Tourism industry. Although an estimated 20.8 million people travel to and around Mississippi each year, its marriage with agriculture has, until now, been a well-kept secret. By linking these two driving forces in Mississippi’s economic development efforts, a very successful partnership is being realized. Agritourism can benefit local economies by drawing consumers to the community, improving the attractiveness of the region as a tourism destination, providing employment opportunities, and increasing visibility and revenues of local businesses and other retail establishments. Agritourism generates approximately $150 million annually in the state and now is one of the fastest growing tourism markets. For farmers and landowners, agritourism can be beneficial by promoting product diversification, increasing visibility, increasing demand for products, direct marketing and sales, and value-added production. For adventure, fun, and entertainment, as well as a desire to learn more about the history, customs, and culture of Mississippi’s working farms, look no further than the Hospitality State’s many agritourism operations. The offerings are many and diverse and will leave a lifetime of memories. 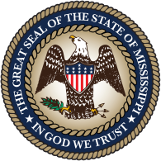 Mississippi’s Agritourism Limited Liability Law, Miss. Code Ann. §§69-53-1 et seq. provides limited liability to persons engaged in agritourism activities. This law, which went into effect July 1, 2012, gives landowners added liability protection as long as they make sensible efforts to make their property secure and alert visitors to any recognized hazards. To be covered by the Agritourism Limited Liability Law, an agritourism professional must register with the Mississippi Department of Agriculture and Commerce on an annual basis. Additionally, the agritourism professional must pay fifty dollars ($50.00) to the Mississippi Department of Agriculture and Commerce at the time of registration. To become eligible to register with the Mississippi Department of Agriculture and Commerce, certain criteria must be met and adhered to. Warning signs with specific language, as spelled out by law, must be posted and maintained in clearly visible entrance and activity locations. Download the Agritourism Limited Liability Registration Guidelines (PDF) and registration application (PDF). The Mississippi Department of Transportation, working in conjunction with Mississippi Logos, LLC has launched a directional signage program for those agritourism venues registered with the Mississippi Department of Agriculture and Commerce. This program, based on criteria and fees instituted these two organizations, and separate from the Mississippi Agritourism Registration Program, will supply those registered agritourism venues with road signs stating the name of the agritourism destination and mileage. For more information about the signage program, click on Related Links located to the left of this page.